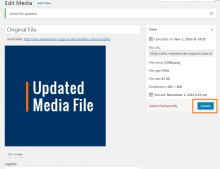 Replacing or updating a file in your Media Library is a simple and quick process. 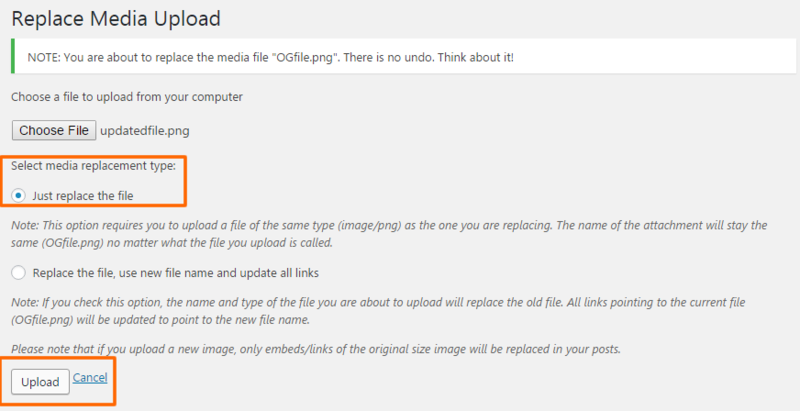 No longer do you need to delete the file and upload the updated version. We provide a way through WordPress to update your files easily. Click on Media in the Dashboard Navigation Menu, then select the file you want to replace or update. The Attachment Details window will pop-up. Look for the Replace Media option on the lower right-hand column. 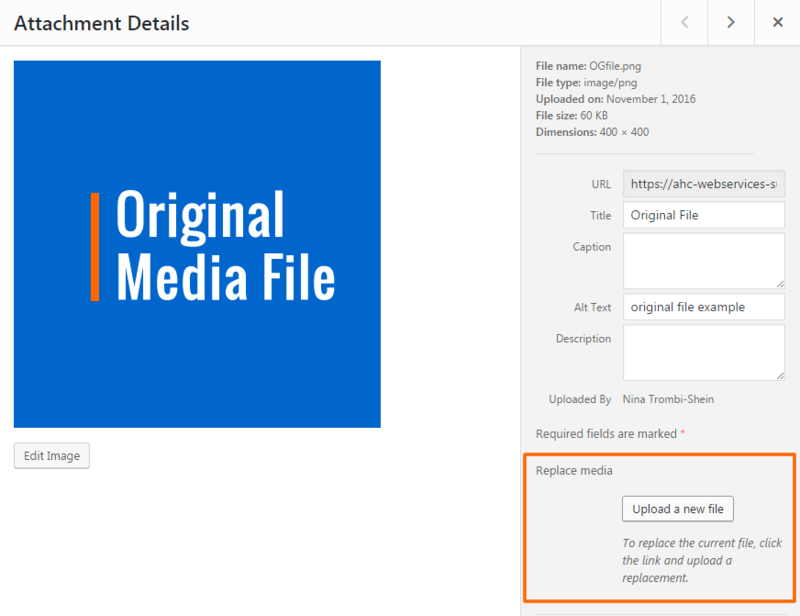 Click on the Upload a new file button, then the next page will ask you to Choose a file to upload from your computer. 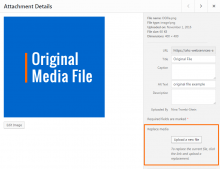 Once you’ve selected your new file, click on the Upload button. 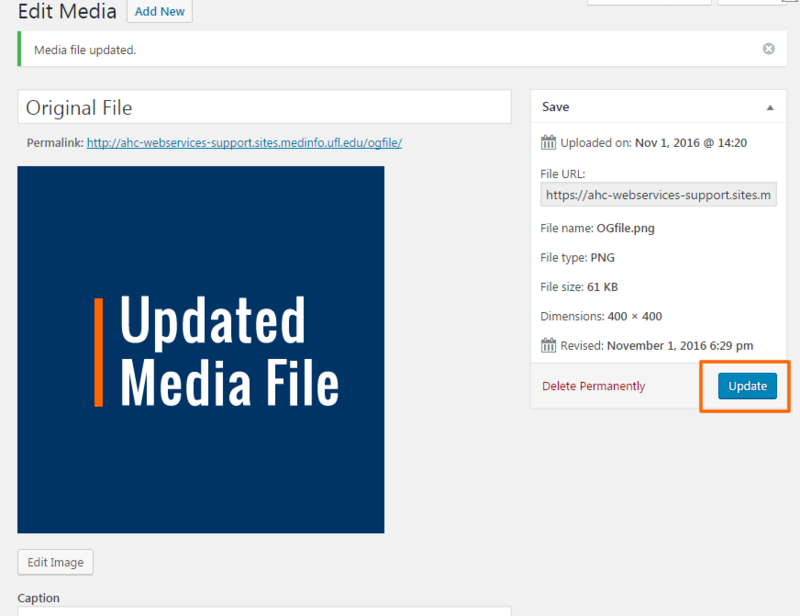 After the file upload finishes, WordPress will display the new file on the Edit Media page. Click on Update to confirm that you see the correct file now. Now you have replaced your file!